Vijay Deverakonda’s Arjun Reddy has been one of the most eagerly awaited movies of this month. The film, which has been making a lot of buzz thanks to the striking posters, trailer and a few controversies, released today, with overseas premieres held last night. All the pre-release hype had catapulted the film’s openings to the next level. In the US in particular, Arjun Reddy has grossed a phenomenal $176K from 73 screens. Trade circles are predicting that the film will go on to gross $200K plus from its premieres alone. This is unprecedented for a film of this budget and featuring young cast. The situation is almost similar in the twin Telugu states. The film premiered to packed houses last night and even the weekend advance bookings are extraordinary. 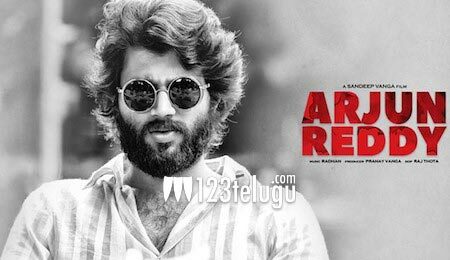 Also starring debutant Shalini, Arjun Reddy was directed by Sandeep Vanga and produced by Pranay Vanga.